This chess piece has designed in giant size. It common use for outdoor chess game or as house decoration. 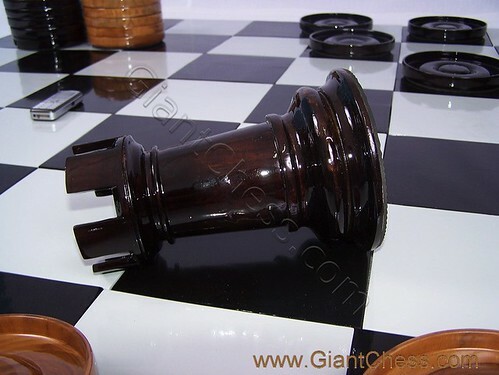 Made from best quality of Teak wood, this chess piece is durable products in any seasons. You may left it outdoor for months without worried about wood damage because we choose the best Teak wood with dried process. It also polished in black and brown with glossy looks. We use the best paint to avoid the wood damage. Wooden chess piece is carved by talented craftsman with beautiful chess detail. For house decoration, people usually put it at patio area, garden, backyard, library, and other interesting corner. Try to decorate your house with this giant chess piece and get unique touch in your house.